By Audrey Golden. Jul 3, 2018. 9:00 AM. Jacques Stephen Alexis’s novel General Sun, My Brother (1955) was originally published more than half a century ago in Paris, but it has only become available to English-speaking readers in its entirety relatively recently. Portions were published in the journal Callaloo in the early 1990s, and then by the University of Virginia Press’s CARAF Books series, or Caribbean and African Literature Translated from French. Alexis came from a long line of revolutionary leaders, and his fiction is written in that spirit. This novel in particular deals with socioeconomic inequality and political violence. We are always intrigued by works of fiction that contain maps, and this is one of those texts. The novel begins with a large-scale map of “The Island of Hispaniola,” followed by a hand-drawn rendering of Port-au-Prince. Want to know more? We recommend buying a copy. In case you needed another push, remember how we mentioned that Alexis is the descendant of revolutionary leaders? More specifically, he was related to Jean-Jacques Dessalines, one of the founding fathers of Haiti who played a major role in the Haitian Revolution under Toussaint L’Overture. He is among a group of writers who developed Haitian Spiralist literature, a literary movement tied to the Duvalier period that Nick Nesbitt describes as “perhaps the richest and most vivid development of the Caribbean surrealist aesthetic to date.” Other notable writers of Spiralism include Frankétienne and Jean-Claude Fignolé. Are you already familiar with the works of Edwidge Danticat? We love all of her novels and essays, but we’re particularly smitten with her collection of short stories, Krik? Krak! (1995). 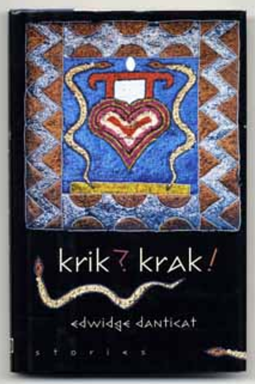 The title of the collection gets its name from a Haitian storytelling practice: the teller of the story starts by saying, “Krik?” and the listeners respond with, “Krak!” Danticat was born in Haiti in 1969 and lived there until 1981, when she moved to New York. Trouillot’s novel, The Infamous Rosalie (2003), is another book translated into English and published through CARAF Books at the University of Virginia Press. The novel follows Lisette, who experiences transgenerational trauma through the stories she hears from her grandmother and godmother about their forced voyage across the Atlantic on the slave ship Rosalie. 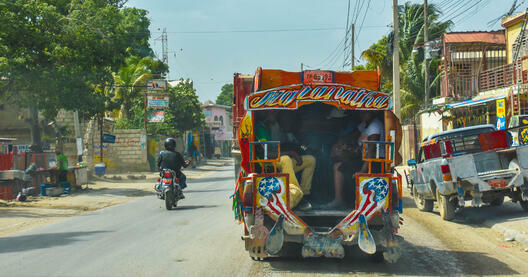 The novel takes place in 1750, when Haiti was known as Saint-Domingue. The author was born in Port-au-Prince, where she currently lives and works as a French Professor at the State University. She is a poet, playwright, and novelist, working in both Creole and French. We’ve only given you a small selection of some of the best books from Haiti. We hope it’s a good place to start and that you’ll continue to discover more literature from the Caribbean.